89, of Honolulu, passed away peacefully at home on January 5, 2019, surrounded by family members. 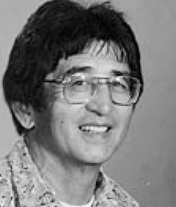 He was born in Lahaina, Maui, graduating from Lahainaluna High School and attended the University of Hawaii Manoa on a football scholarship where he went on to play in the 1954 Hula Bowl. A Korean War Army veteran, long-time football coach, retired Jarrett Middle School principal and 1993 Milken Educator Awardee, he is survived by his wife of 64 years, Janet; daughter, Claire (Gary) Young; sons, Darrel, Dale; brother; Lawrence "Danny" Asami; sisters: Lillian Sada Tanji, Margaret Shige Nagasako, Doris Nobu (Stanley) Isa; grandsons: Marcus Asami, Brennan (Jaylicia) Young, Callan Young, Wyatt Young; great grandchildren: Titus-Po'okela and Tayli Young; thirteen nephews and nieces. Private Services were held.